The Savoy, located on the river Thames between Mayfair and the city of London, reopened in 2010 after a £100 million restoration. Its conception, design and craft continues to dazzle the present with its inspirations of the past and visions of the future. 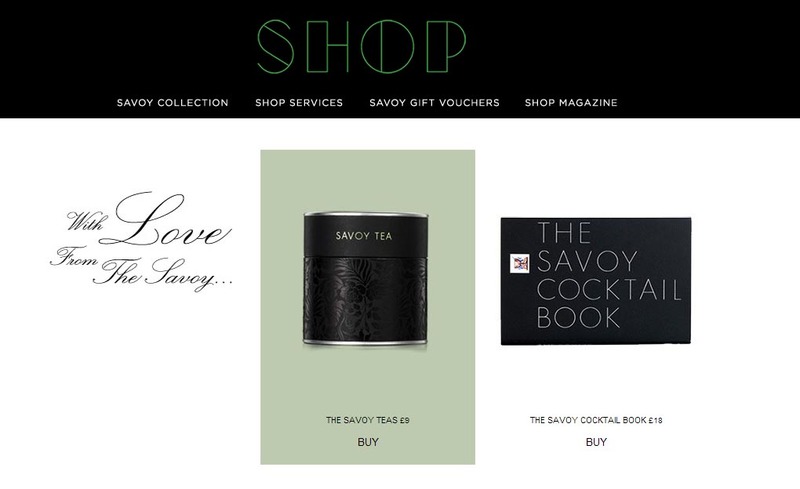 The Savoy Tea Shop provides a chance for guest and visitors to purchase and take home a small slice of this world famous brand. 1. The floral patterning was picked out with black foil, against the matt black kraft paper. 2. 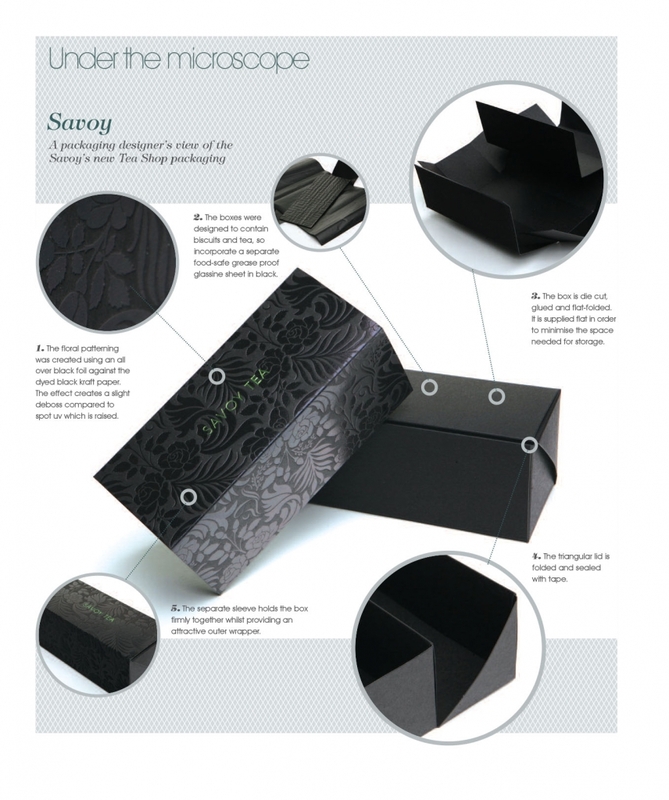 The boxes were designed to contain biscuits and tea, so incorporate a separate food-safe glassine paper in black. 3. The box is die-cut, glued and flat-folded. It is supplied flat in order to minimise the space needed for storage. 4. The triangular lid is folded and sealed with tape. 5. The separate sleeve holds the box firmly together whilst providing an attractive outer wrapper. As one of the most luxurious forms of retail packaging, jewellery boxes can be a dark art to all but a few. We spoke to Keenpac’s resident jewellery box expert, Dean Callier on just what makes a quality jewellery box. Anticipation is the name of the game. When consumers buy luxury goods, they can often pay significant sums of money for them. So how best can luxury retailers give their consumers added value and ensure that every luxury purchase is giving as much as possible? It’s all in the ‘reveal’. Boxes can be created in a variety of ways to suit their use and the budget. Flat-packed, rigid, hinged, wooden and even metal boxes are all available. They can be wrapped inside and out, with an enticing selection of exquisite materials ranging from embossed and printed papers through to leather and suede, and finished with embossing, printing, varnish and hot-foil. Or, for serious impact, a combination of the above!